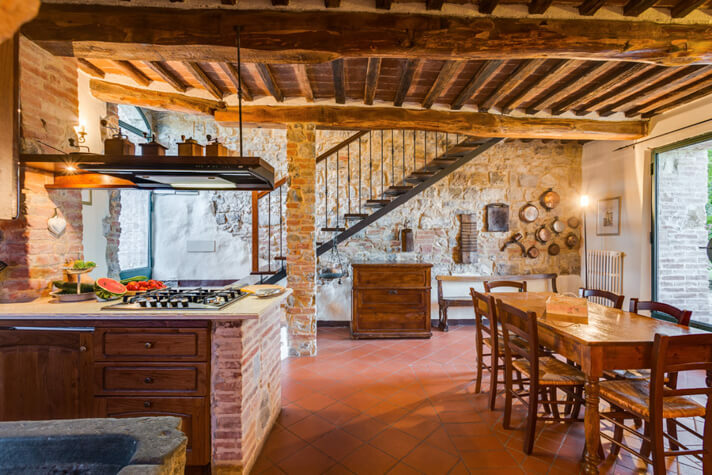 For the past few years, we have been curating Couple's Coordinates Italy yoga & culture retreats with the intent of hosting a yoga retreat that places an emphasis on Italian cuisine and culture. Couple's Coordinates Retreats are designed to feed your mind, body, and soul. We built a retreat that is perfect for couples and solo travelers alike; a retreat that embraces and empowers both beginner and advanced yogis. 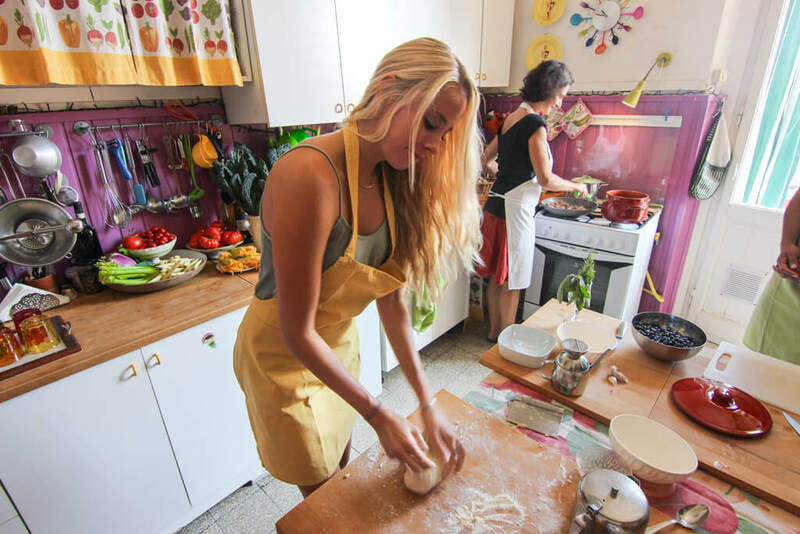 Our Italy Yoga Retreat is perfect for the couple, group of friends, and/or solo traveler who wants to join like-minded travelers and indulge in local Italian cuisine while enjoying daily yoga and local cultural excursions. You'll return home with a full heart and belly, beautiful photos, memories, and life-long friends. We (Michael and Alex) will be guiding you through our favorite places in Florence and Tuscany and we will also be joined by local Italian culture and history experts. You'll be immersed in the rich culture of Tuscany as we embark on local excursions through the city that birthed the Renaissance: Florence. 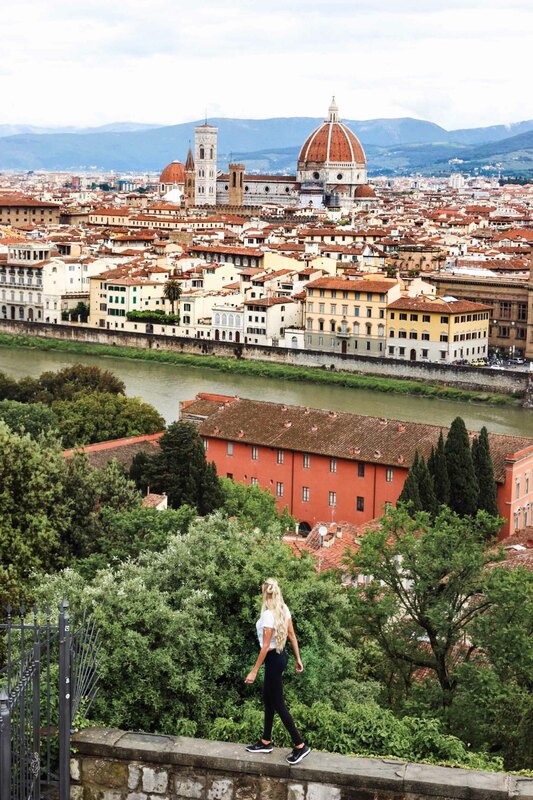 From the Tuscan countryside to the cobblestone streets of Florence, we will feed your mind, body, and soul with yoga and meditation, Italian culture, Italian history, and delicious Italian cuisine. Women and men age 18+. Couples, groups of family & friends, and solo travelers are all welcome! Our goal with Couple's Coordinates Retreats is to create an experience that combines 6 days of yoga, meditation, and personal development with the best of local history, culture, and cuisine. Florence - the birthplace of the Renaissance - has made a profound impact on world history, and as a result, has been instrumental in framing our modern lives. Artists and scientists such as Da Vinci, Galileo, and Michelangelo all called Florence home. 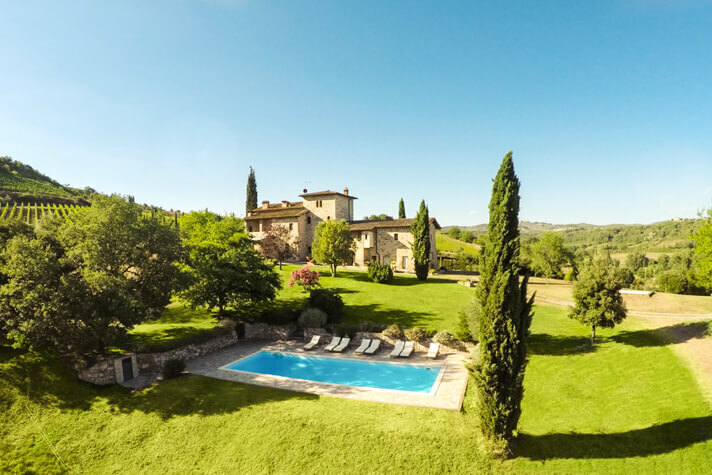 We'll create memories and take beautiful photos at the David at the Galleria Accademia, Piazzale Michelangelo, Ponte Vecchio, Boboli Gardens, Terme di Saturnia hot springs, vineyards in Chianti and San Gimignano, and our in-villa private cooking class. 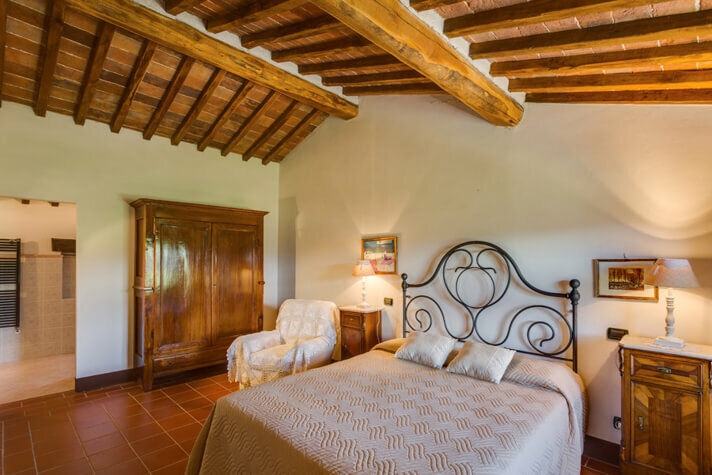 Other highlights include a therapeutic massage, meals (to suit your dietary needs) prepared by our private Italian chefs, loads of yoga, and plenty of wine from the vineyards surrounding our villa! 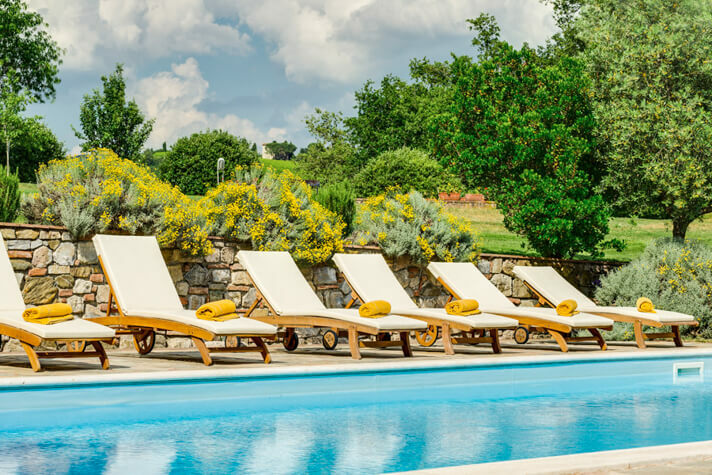 You'll be staying in the beautiful rolling hills of Tuscany overlooking the city of Florence in a luxurious villa with a private pool, private chefs, private massage therapists, and amenities to entertain you during your personal time. Alexandra Gallagher is a RYT 200 certified yoga teacher. Alex obtained her vinyasa yoga teacher certification in Bali, Indonesia and has been teaching at home in Los Angeles, CA as well as internationally on yoga retreats ever since. Alex's teaching style fuses the best aspects of vinyasa flow and power yoga; creating what she likes to call Power Vinyasa. She has experience teaching yogis of all backgrounds and experience levels, including prenatal yoga. You will enjoy daily yoga classes covering a number of different styles of yoga. Alex will cater the classes to all levels, ensuring that the most advanced students are challenged and beginner students are provided an opportunity to learn and connect with their breath. Don't worry about bringing your mat, blocks, or straps. We will provide yoga equipment for all guests! 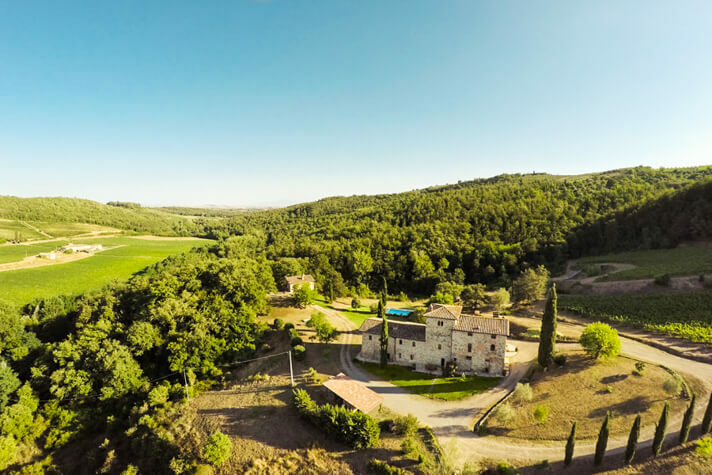 Our private luxury villa in Tuscany is surrounded by 66 acres (27 hectares) of olive trees, vineyards, cypress trees, and woods. The villa, perfectly restored, is characterized by its 13th-century watchtower and beautiful private pool. 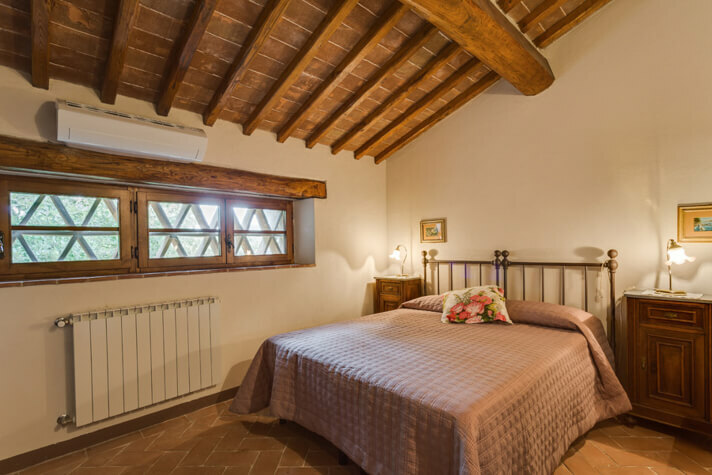 The villa is positioned perfectly in the Campagna Toscana (Tuscan Countryside), sitting just outside Florence, Siena, and San Gimignano. We will leverage our beautiful estate for our yoga classes, outdoor activities, and lovely dinners under the moonlight and stars. The villa spans 7535 square feet and is comprised of 8 bedrooms, most of which have private bathrooms. In addition to the amenities of the property, you'll love that it is fully equipped with air conditioning/heating, washer/dryer, hairdryer, ironing facilities, free toiletries, fans, a barbecue grill, both indoor and outdoor dining areas, loads of outdoor furniture, pool towels, and essentially everything you'll need to feel at home and mitigate packing heavy bags. Depending on your preference, you can book either double occupancy or a private room. Couples or friends are welcome to book a private room together, and solo travelers have the option of booking a private room or sharing with a like-minded traveler. Queen beds are available to couples and travelers choosing single occupancy and twin beds are available to double occupancy rooms. We have hired 2 local chefs who were born and raised in the heart of Chianti. Alessia and Barbara are 2 incredible women who have been cooking their grandmother's recipes since they were little girls. Whether you want grandma's traditional recipes or a version that fits your dietary needs, our chefs will provide each meal for you with local, organic ingredients. Whether you're vegan, vegetarian, gluten-free, or have any other dietary requirements, we will ensure our chefs meet your needs. In addition, you'll dine at one of the most historic restaurants in Florence, eat gelato at (in our opinion) the best gelateria in the world, drink our favorite espresso, and enjoy farm-to-table lunch during our wine tasting excursion in Chianti. Coffee, tea, water, wine, fruit, and other snacks will be provided throughout the day. P.S. Yes, you'll get to eat that pizza in the photo as well! 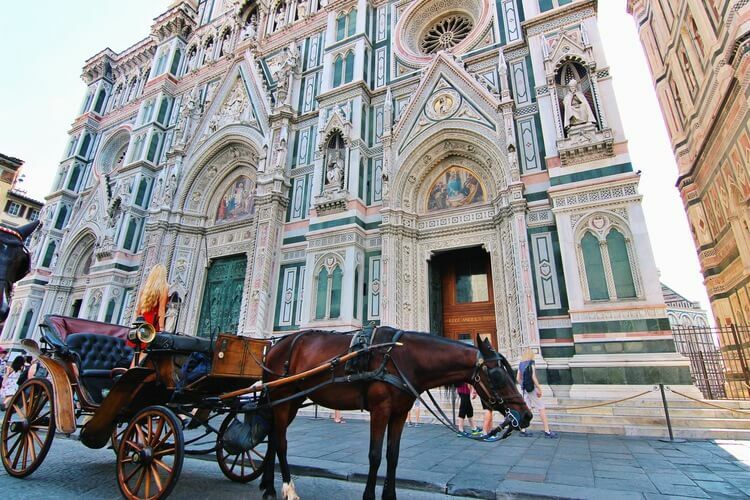 In addition to daily yoga, we will embark on a number of excursions throughout Florence and Tuscany. Our group will enjoy activities and excursions such as guided meditations, an Italian cooking class with our private chefs, a full body massage at our villa, a guided tour of Florence with local guides and historians (including a walking tour, a trip to the Galleria Accademia to see the David, sunset at Piazzale Michelangelo, photo opportunities at the Ponte Vecchio), spa day at Terme di Saturnia, a hike in the hills of Tuscany, wine tasting at the oldest winery in Italy (where Chianti Classico was made), lunch accompanied by wine tasting in a castle in Chianti, and other surprise activities! Video courtesy of our good friend, Antonio Ricco, from Positano. We're Michael and Alexandra (Alex) Gallagher, the co-founders of Couple's Coordinates travel blog. We launched Couple's Coordinates in 2015 when we quit our jobs and moved to Florence, Italy. Michael studied in Florence, Italy while at university and immediately fell in love with the city. He speaks Italian and loves Italian Renaissance history. Michael has a plethora of local knowledge about Florence and can't wait to share his love of Tuscany with you! Alex is a certified yoga instructor and is similarly passionate about her second home, Florence. Alex quit her corporate job in 2015 and began pursuing her passions in life: yoga and travel. Couple's Coordinates Retreats is a way for her to combine both of these passions. Regardless of where we are in the world, we have a piece of our second home in our hearts and on our hands; we even have matching fleur de lis (the symbol of Firenze) engraved into our wedding bands. 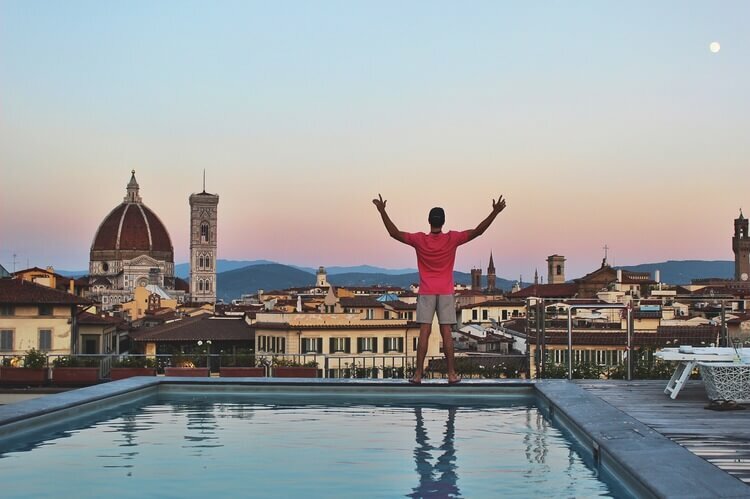 We can't wait to meet you and introduce you to our favorite places in Florence, and the Tuscan countryside while we feed your mind, body, and soul! All aforementioned activities + surprise activities! Gratuities for drivers, guides, etc. *Travel and medical insurance is required for all Couple's Coordinates Retreats. Our preferred insurance provider is World Nomads, but you're welcome to choose any provider you prefer. All-inclusive pricing from $3,800/person. Prices vary depending on accommodation preference. 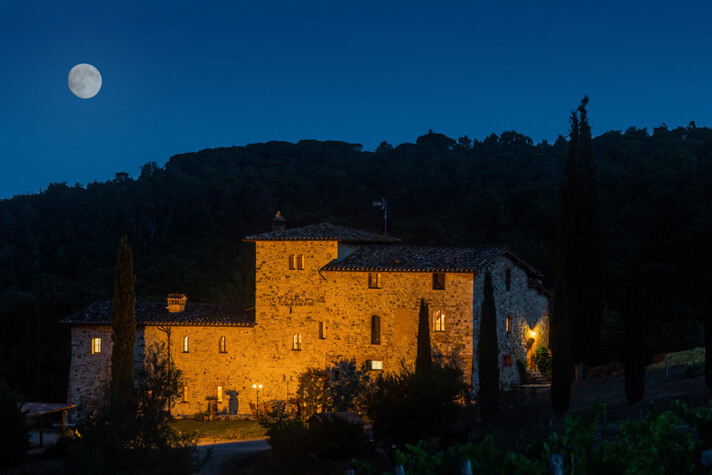 Apply for Couple's Coordinates Italy Yoga Retreat in Tuscany! What sets our retreats apart from other Italy yoga retreats? The curated fusion of yoga, meditation, culture, and cuisine to feed your mind, body, and soul. We know Florence and Tuscany intimately, and we will be joined by local history, cultural, and culinary experts to ensure an enriching experience. Couple's Coordinates Retreats are unique, custom, experiences, incorporating Michael and Alex's favorite restaurants, historical sites, and Tuscan excursions. We have spent years cultivating this custom experience that is certain to make you fall in love with Italy (or fall in love all over again). Complete the application form below so we can get to know you a bit. We will review your application and email you a formal invitation with a detailed itinerary and payment authorization form. The intent of the application is to give us an opportunity to get to know you and to provide you a chance to ask any questions you might have. We will review your application and contact you directly with a formal invitation and payment authorization form. Choose double or single occupancy and complete $500 USD non-refundable deposit. Couple's Coordinates is partnering with Oxfam Italia (a local Italian charity) to donate $100 for every guest that attends a Couple's Coordinates Retreat. Oxfam is committed to ending the injustice of poverty both domestically in Italy and abroad. Couple's Coordinates joins Oxfam in a unified commitment to end poverty, mitigate violence against women, and empower asylum seekers and refugees.